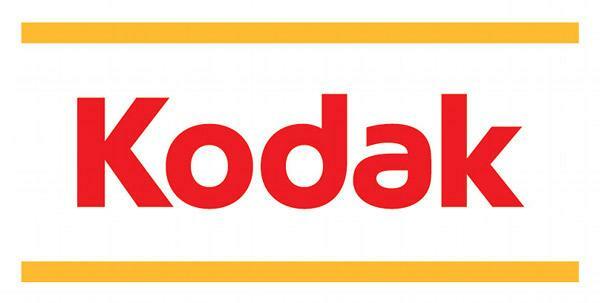 Opening bids from two investor groups, one led by Apple the other by Google, for Kodak's digital imaging patents came in well below the company's estimates of $2.6 billion, meaning the bankrupt photography pioneer may not have much capital to work with once creditors take their share. According to people familiar with the auction, Kodak received bids from the two groups worth between $150 million to $250 million for the auction set to take place on Wednesday, reports The Wall Street Journal. It was reported in July that Apple is teaming up with Microsoft and patent firm Intellectual Ventures to bid against a group comprised of industry heavyweights Google, Samsung, HTC, LG and patent holdings company RTX, for Kodak's digital imaging patents. While the initial bids may be on the low side, subsequent sparring between the two groups is likely to raise the price substantially. In a previous bankruptcy auction over Nortel patents, Google started the proceedings with a $900 million bid but was ultimately beaten by a $4.5 billion offer from a consortium led by Apple and Microsoft. According to one source, any bid over $600 million would be seen as "healthy" for Kodak's portfolio. Other people familiar with the process point out bidders don't expect the auction to raise more than that amount. Kodak has fought to keep the bankruptcy auction out of the public eye, with a judge ordering the bidders, bids and final price all be kept secret until a winner is decided on Aug. 13. "The auction process, including information about bids and the identity of bidders, is confidential pursuant to an order of the Bankruptcy Court," said a Kodak spokesperson. "Disclosure of submitted bids or the identity of bidders would violate the court's order, and Kodak believes that speculation about the details and potential outcome of the auction is inappropriate." Kodak's 1,100 patents up for auction are being split into two separate lots: one relating to the capture and processing of digital images; and one relating to storage and analysis of digital images. The photography giant is looking to use the money gained from the patent auction to pay off $950 million in loans and complete a corporate restructuring that would see the company emerge from bankruptcy as a printer maker. Confusing the sell-off, however, are allegations from Kodak saying Apple is trying to interfere with the auction by claiming rights to ten of the patents up for sale. The Cupertino company asserts the two companies co-developed the technologies in question during work on the QuickTake digital camera. Kodak filed suit to keep the patent auction moving and recently won a ruling that denied Apple's request to transfer the case out of bankruptcy court. Most recently, Apple was denied ownership of two of the ten patent claims.